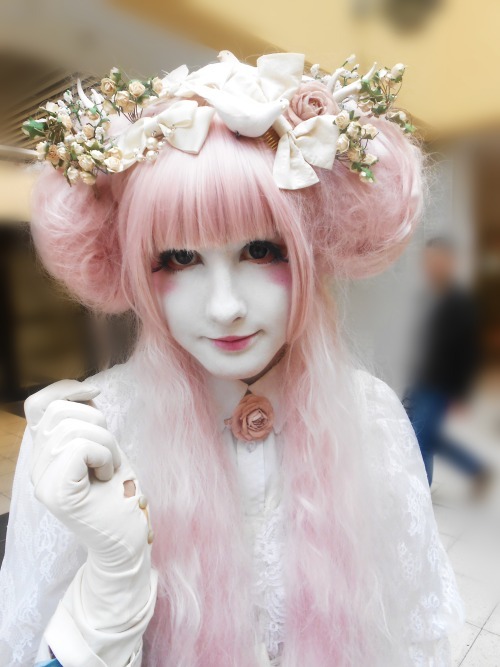 Shironuri is an incredible fashion – in fact, fashion isn’t an appropriate term. Living art is a far better description of this style. 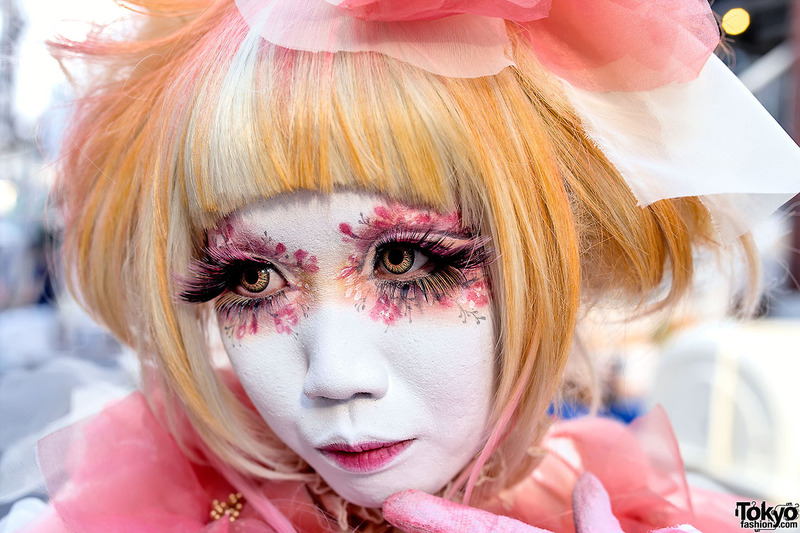 The model who really brought this style to my attention was Minori, widely seen as the trend-setter of the Shironuri fashion style. In and of itself, Shironuri means ‘painted in white’ and refers to the traditional makeup pratice of Kabuki actors and Geisha. This body art has since been adopted into the modern age with new and interesting twists. Minori is known for her infusions of nature and colour co-ordinations into the style. 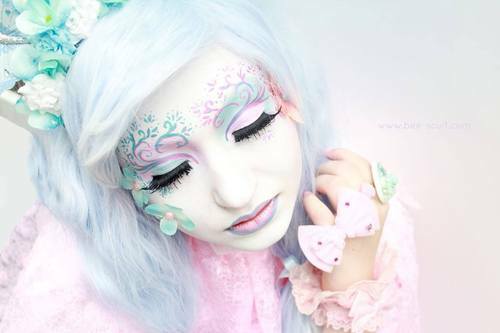 The fashion side can be influenced from all sides – decora, fairy kei, mori, gyaru – all of these styles can be incorporated into shironuri. So here are my absolute favourites to get you into gear for Spring – chock full of flowers, pastels, petals and light! POSITIVE SHIRONURI!! 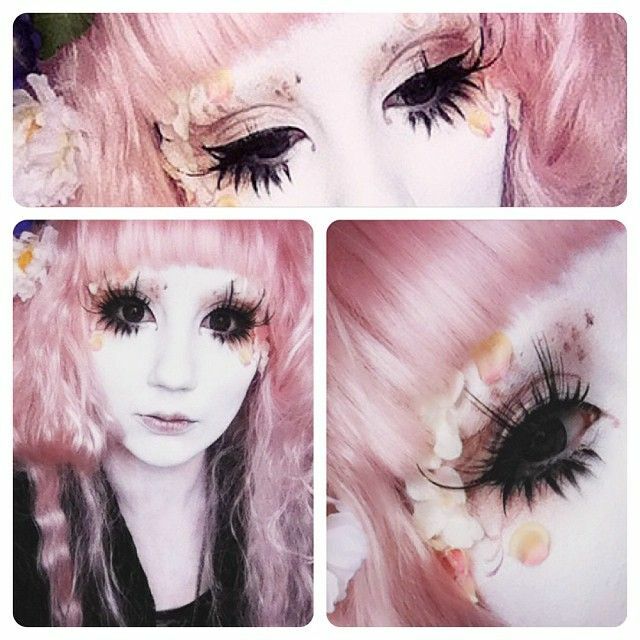 I’m working on a few tutorials, and keeping POSITIVE!! Have you tried out shironuri? I’d love to see your photos, my wonderful bunny-children! !